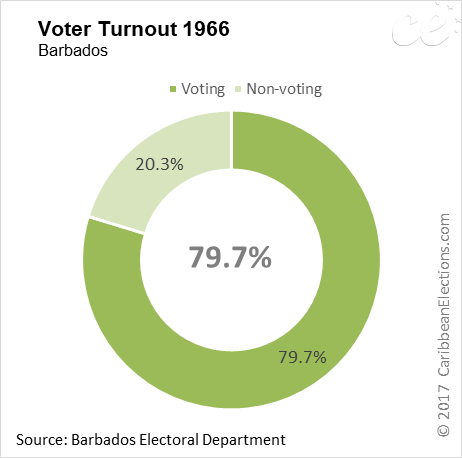 General elections were held in Barbados on 3 November 1966. Elections were held to renew all the members of the House of Assembly on the normal expiration of their mandate, using a first-past-the-post system. The 24 members of the House of Assembly were elected in 12 double-member constituencies by first-past-the-post voting. There was no fixed election date in effect in Barbados at this time; hence, the choice of election date is the prerogative of the Premier. In 1964, voting age was reduced to age 18. The General Assembly was dissolved by His Excellency the Governor on the 10 October 1966; Nomination Day was 18 October 1966; and the General Election was held on the 3 November 1966. 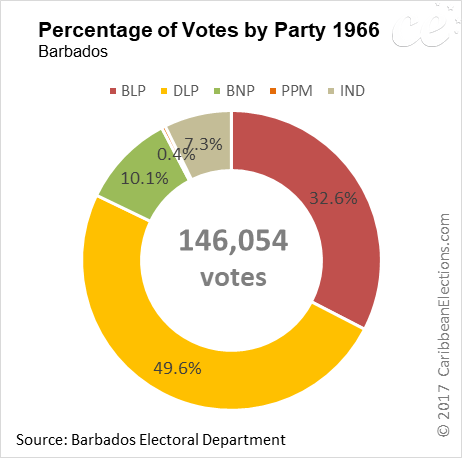 This was the fourth General Election of members to serve in the House of Assembly since the introduction of adult suffrage and the last before the island became an independent country within the Commonwealth on the 30 November 1966. There were 99,988 registered electors. Four parties contested the 1966 General Election. 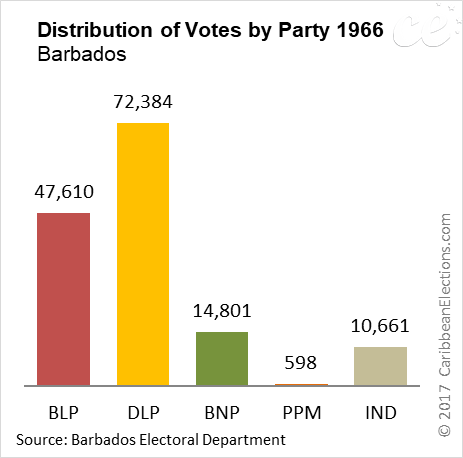 The Barbados Labour Party (BLP), led by Grantley Adams; the Democratic Labour Party (DLP) led by Premier Errol Barrow; the Barbados National Party (BNP), led by Bridgetown Mayor Ernest D. Mottley; and the People's Progressive Movement (PPM), led by Glenroy Straughn. A total of 59 candidates contested the election: BLP - 21, DLP - 24, BNP - 4, PPM - 2, and 8 independent candidates. The result was a victory for the Democratic Labour Party, which won 14 of the 24 seats. The BLP won 8 seats, and the BNP won the remaining two seats. 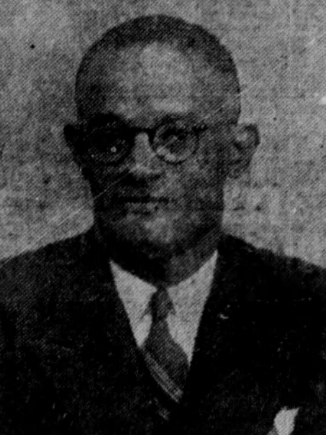 Frank Walcott, General Secretary of the Barbados Workers Union (BWU) was not re-elected and Edward Leacock, the BWU's Executive Secretary was also defeated. All government ministers were re-elected, although three of them with only narrow margins. 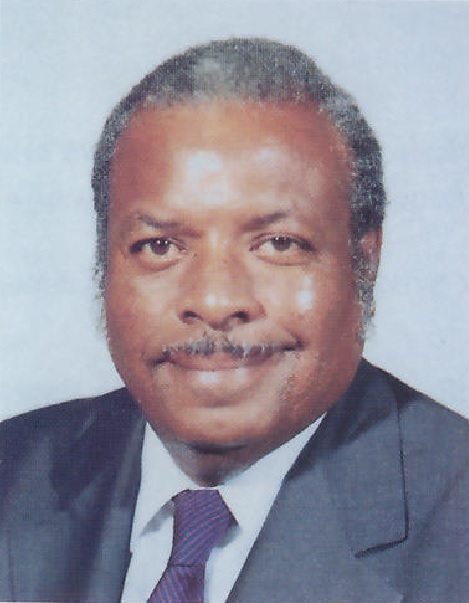 Premier Errol Barrow, continued into his second term in office. The Barbados Independence Act was passed by the United Kingdom Parliament in 1966. 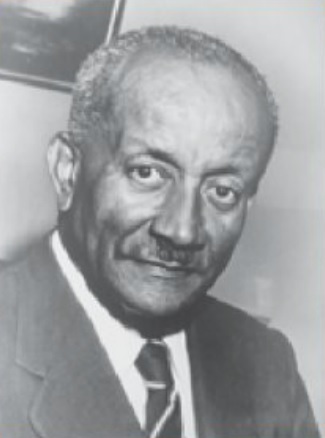 On November 18, the designation Premier was changed to Prime Minister by an amendment to the Barbados (Letters Patent Consolidation) Order, 1964.